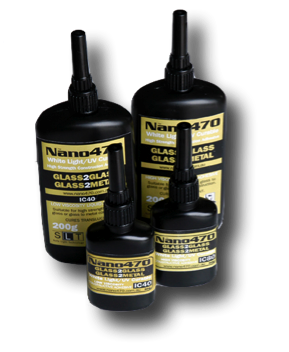 Nano470 leads the way in revolutionary new light curable adhesives! 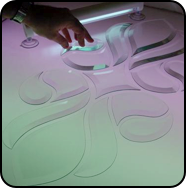 In the past, bonding glass to glass or glass to metal has only been possible using UV light for curing adhesives. Now, Nano470 technology allows the curing process to occur using only a white fluorescent tube. Amazing! The light source required for adhesive bonding is now less expensive, readily available in a range of different sizes/shapes and results in a simplified bonding process. As well, the final bonding result is as good, if not better than, any bonding that occurs using UV light. Pictured below, is the visual part of an electro magnetic spectrum which illustrates energy frequency. It is clear from this diagram, that 470 nanometers, the peak curing frequency of Nano470, is within the safe visual spectrum because it only uses white light for curing. Other adhesives that require UV light to cure are not visible on this part of the spectrum because they fall outside this safe range. 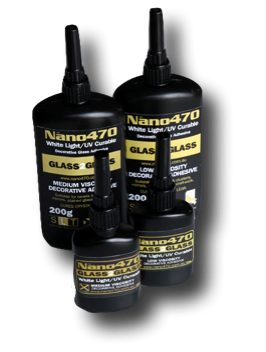 Nano470 Adhesives can be cured using UV light if this is your preferred light source. 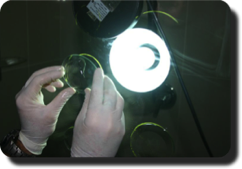 All other glass adhesives in the Australia need UV Radiation to set (cure).